Much like our giveaway for The Office Season 6 two weeks ago, The Reel Place has three copies of Ridley Scott’s latest re-imagining of the classic anti-hero who stole from the rich and gave to the poor, Robin Hood. 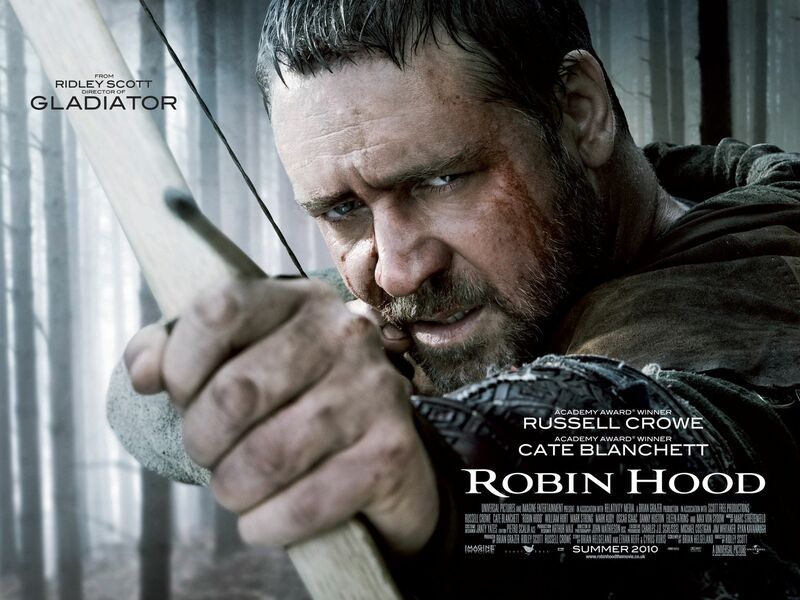 Although Aaron thought Robin Hood was bland, too serious and only gave it a measly two and a half stars out of five (read his review here), I was entertained as it is playfully tweaked the well-known folklore into something new and original (read my review here). 1. Write a brief story about a time you have helped someone in need. Enter your “Helping Hand” story into the comments section below and . . .
mailing address (for shipping purposes only). If you have one of the three best “Helping Hand” stories, you win! announced on Tuesday, Sept. 21, 2010. Good luck and we look forward to reading your submissions!